Transitioning to the Switch worked out well for The World Ends With You, but as nice as it sounds and looks, some of the gameplay was lost in translation. There was something novel about the design of the Nintendo DS, utilizing both traditional buttons and a then-novel touch screen. 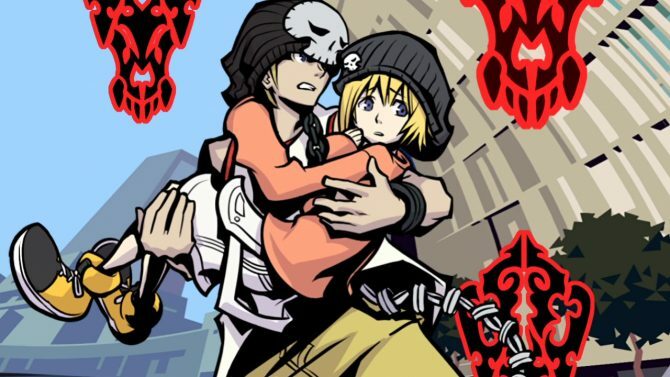 While many games used the second screen as a glorified map or inventory menu, games like The World Ends With You took a more unconventional route when it came to controlling gameplay—with the use of both buttons and touch screens, players could execute actions with two characters simultaneously. It has been so long since the original game, that frankly, I don’t remember too well how that gameplay held up. Thus, when it came to approaching The World Ends With You: Final Remix on the Nintendo Switch, I attempted to view it with fresh eyes. Like the initial DS game, Final Remix is also unconventional, but in this case, not the way I wanted it to be. While the original game took advantage of its hardware, Final Remix does not do the same with the Switch’s feature set. What resulted from my playthrough of this enhanced port was a lot of incoherent swiping and tapping, dirtying up my beautiful screen. While the incoherence of the DS game was something at least charming and unique, I felt while playing Final Remix that I was playing on my phone instead of a high-end Nintendo device. At least the game looks excellent. For those who don’t recall the premise of The World Ends With You, it is essentially an action RPG from Square Enix that centers around an urban setting. Taking place in the real-life shopping district of Shibuya, the player controls Neku, who after mysteriously dying is brought to an alternate plane of existence known as the UG to participate in a “Reapers’ Game.” Think of it as a hip, modern, supernatural version of the Japanese novel Battle Royale, but with cooperative missions involving fighting “Noise” monsters over killing every other player you see. In handheld mode, which in many ways feels like the “default” mode of play for Final Remix, everything is controlled by the Switch’s touchscreen. From navigating menus, moving your character, going through dialogue, and attacking, every action is done by tapping, pressing, or swiping the screen. While playing in handheld, you might as well not even have the Joy-Con controllers attached, as they are basically dead weight. If you elect to play on the television instead, all of those touchscreen controls are translated into pointer controls using a single Joy-Con controller’s motion-sensing—think The Legend of Zelda: Skyward Sword, or the Switch port of Captain Toad: Treasure Tracker. Pressing a single button replaces tapping the screen, and the player can even use the control stick to move around the game’s world. Oddly enough, I didn’t find the control stick to be usable during combat, and until I accidentally discovered that a button press would get Neku moving, I was baffled on how to do the most basic movements in combat. Speaking of combat, the battle system in The World Ends With You is centered around pins. These pins represent various abilities that Neku can access, whether they be physical attacks, projectile attacks, healing items, or status changes. Generally, a specific touch gesture will activate these pins—swiping at or pressing on an enemy for an attack, swiping across Neku to shoot projectiles, tap the pin itself to heal, and so on. Some are more complex, like having to draw a circle in empty space to make a meteorite fall down, or rapidly swiping back and forth to cause tremors. Neku will be aided by one partner character, with a different one in each story act of the game. 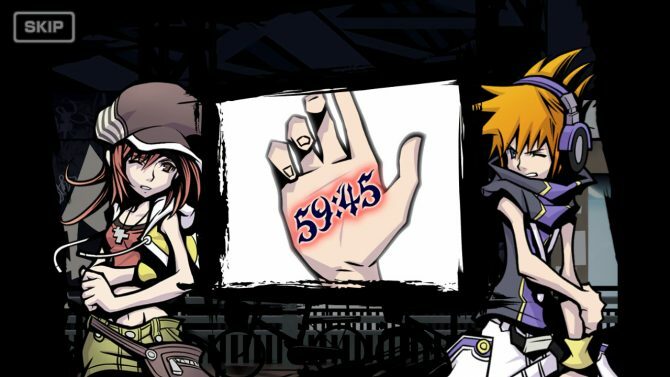 While the DS version had the partner character occupy the top screen and Neku in the bottom touch screen, the one-screen setup of the Switch has Neku being the centerpiece and the partner summoned through touch gestures. 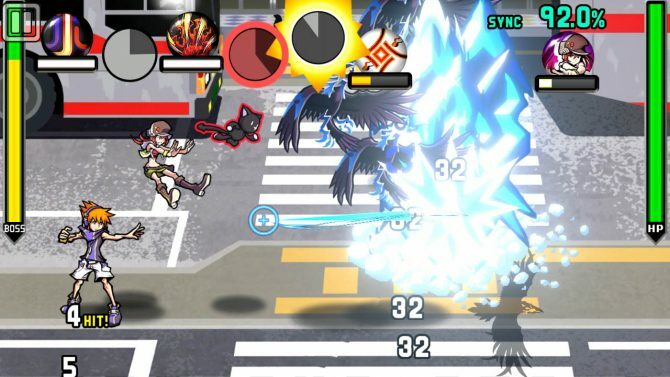 Tap an enemy to summon Shiki, swipe down to have Joshua telekinetically throw objects down, or swipe empty space to have Beat move around and attack while on his skateboard. Both pins and partner attacks are limited, with a meter needing to recharge before using again. By alternating attacks between Neku and his partner, the two will “sync,” which eventually will let players unleash a “fusion” attack that requires the player to do some sort of quick card game, depending on the partner. All in all, this game got tiring on the hands. There were various points from beginning to the end of my playthrough of Final Remix where I questioned whether or not I was playing the game “correctly.” Too many of the touch gestures overlap conceptually, and there were so many times the combat system was simply not doing what I would want to. I couldn’t tell if the game couldn’t discern swiping Neku for an attack and wanting to move, and sometimes while wanting to move the game would think I’m initiating an attack involving empty space. While Final Remix offers several pins and different configurations to work with and organize in the menu, I usually ended up using one set most of the game—the only times I really switched around was when I felt the need to level up my pins; interestingly enough, the game generates XP for your pins when not playing the game. I wasn’t as attached to the battle system so much as I was to the characters in the story. These partners that fill out the rest of the main cast are all quite fun and compliment the anti-social and brooding Neku quite well. Shiki is a bit shy but optimistic and empathetic, while Joshua is sly, scheming, and sarcastic. Beat, on the other hand, is a bit more hot-headed and impulsive, himself being well-complimented by the young character of Rhyme. There is limited voice acting in the game, with only a few lines fully recorded besides the usual grunts, reactions, and battle cries. With the Switch version being more high-end, I was hoping for the production value to allow for more recorded dialogue. Luckily, Final Remix does give players a bit more time with the characters, with a brand-new epilogue chapter—there isn’t too much to say about it without explaining the entire story of the base game, but with characters new and old, I welcomed the new scenario. It freshens up the game world a little cheaply by literally rearranging parts of the map, but I’ll give it a pass. Perhaps the fact that you have to read the whole darn game ultimately makes sense—more so than almost every game I’ve played, The World Ends With You: Final Remix feels like a comic book in motion. Character models and environments are two-dimensional, and everything looks crisp. The outlines for the characters are thick as if everyone was “inked” by an artist, and while animations are minimalist while still expressive to display those aforementioned character traits. Things get a little blurry in television mode, but I imagine people will be playing this in handheld most of the time. It may get annoying to see the same few character sprites in dialogue scenes, but the writing is sharp and witty, for the most part—even though the story that follows is basically anime, with constant and sometimes absurd plot twists and the rules of the world always changing. My favorite artistic element of The World Ends With You has always been the soundtrack, which is carried over successfully in Final Remix. It’s a mix of pop, rock, hip-hop, and various other genres that fit in with the modern, edgy aesthetic of this interpretation of Shibuya. The game wants me to believe that these tracks familiar to me have also been remixed, but not only could my ear not discern too many major differences, but I also didn’t care so much, as I enjoyed it all the same. All iterations of Final Remix have multiple mixes and covers of several original songs, which is likely how I never tired of any of them. Even while not playing the game, you may find me playing “Twister” on loop. It may benefit players new to The World Ends With You to briefly run down some of the more nuanced mechanics of the game, though the following will probably be repetitive to players of the previous DS or mobile versions. 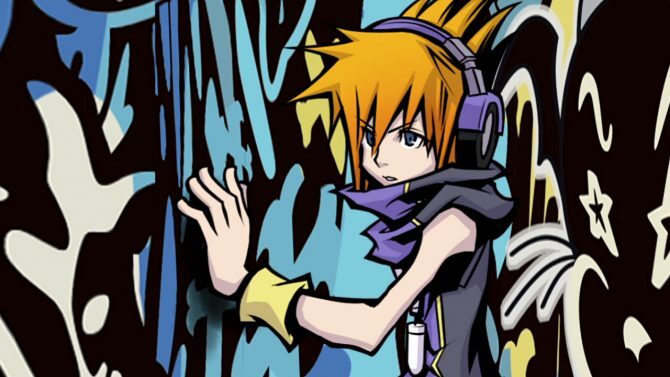 Neku has the ability to scan the area around him with a pin, able to read the insightful minds of Shibuya inhabitants in the “real world” (or the “realground”/”RG”) and sometimes perform a sort of inception on characters to advance in the story. A few missions require Neku to insert “memes” (not the dank kind) to give RG inhabitants an idea that will help Neku and his partner in their missions. Most importantly, scanning is how Neku finds Noise monsters to fight. And just to go over the shop system, as you are indeed in a shopping district, fashion is literally function in this game. 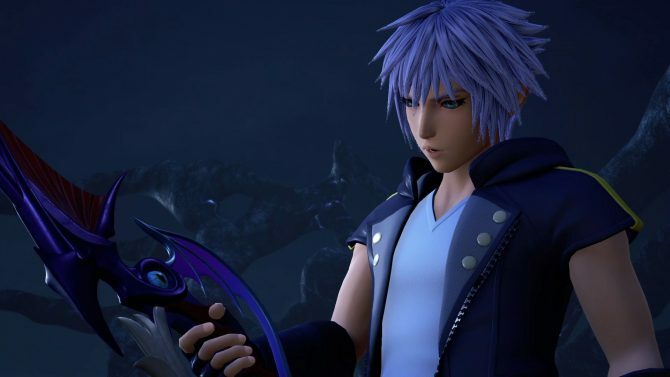 Clothes and items give Neku and his partner abilities and stat changes, but the unique element here is that certain brands of clothes are more popular in some districts than in others—as a result, some items are powered up or weaker depending on which district you’re in. I only wish that the map in the pause menu was easier to read, as I often found myself confused when working off verbal descriptions from characters when the map wasn’t clearly labeled with names, instead using abbreviations. 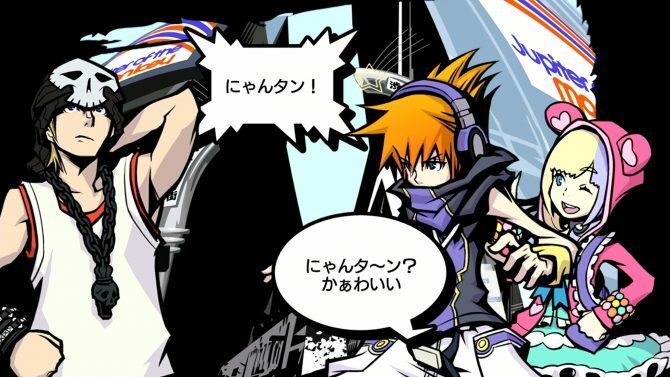 So to abruptly end here, The World Ends With You: Final Remix is artistically a strong game. Your mileage may vary with the story, which is dependent on your tolerance for JRPG tropes, but the modern aesthetic and themes make it more relatable than most titles in the genre. Where the game falters is transitioning the unique gameplay of the DS version to the more mobile-like control scheme on the Switch. I had the feeling while playing through The World Ends With You: Final Remix that with some more time, Square Enix might have made a combat system that utilized those darn buttons that the Switch has while still fitting everything on a single screen, which is wider and clearer than the DS button screen. Final Remix eventually became a physically exhausting chore to play—just try to find a comfortable position for long, extended sessions. The graphics and sound made the hassle all worth it, but by not taking full advantage of the Switch, the beauty of Final Remix runs the risk of only being viewed through YouTube walkthroughs. The latest trailer for The World Ends with You: Final Remix showcases the game's smooth art-style along with its co-op mode.